At National Security Lock, we pride ourselves on being on the security experts when it comes to technology based security solutions. 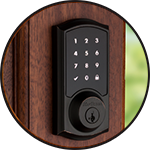 We provide custom residential locksmith and security solutions that offer professional grade web-based security products that integrate with Smartphone apps to provide you access to your home security system no matter where you are in the world. We can provide the security you need at a price you can afford. 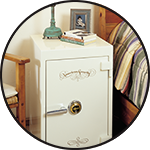 Our technicians can offer solutions to fit any size home or security need to make your family safe and your home secure. National Security Lock 2019, All Rights Reserved.